Employment law, simply put, involves the legal issues that arise in the workplace. Every aspect of the workplace, from how employees are hired to how they are managed, disciplined, and terminated, as well as worker’s compensation and unemployment claims, is governed by complex and constantly evolving rules and regulations. Despite the best efforts of employers to treat employees fairly, administrative and civil employee disputes do occur. These employee actions expose employers to potential liability and waste scarce resources—both in time and money. The goal of our employment law practice is to minimize liability for our clients through preventive counseling. In the event a lawsuit or administrative charge does occur, our experienced litigation team is fully prepared to represent clients in both federal and state courts and administrative agencies. 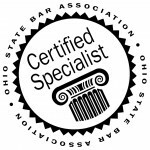 Managing Director Matt Markling is among the less than one percent of Ohio attorneys who have earned the prestigious distinction of being named an Ohio State Bar Association Certified Specialist is Labor and Employment Law.